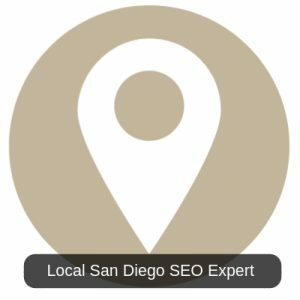 While many profess expertise in a variety of topics, to become a local San Diego SEO expert takes time, training, creativity, and know-how. San Diego SEO is one of the most competitive markets in the entire world and when you couple that with competitive business niches it can be hard to gain results for clients. This is exactly why people seek out SEO experts in San Diego who have the experience they need to get them results in search marketing. Our team at Local Blitz has been working in the SEO and search marketing space since 2009, which is why we confidently call ourselves local San Diego SEO experts! With over 20,000 hours working on SEO projects for clients in a variety of business niches, we can say that we have just about seen it all. Every minor shift in the Google platform can adversely affect your search marketing efforts or, better yet help, so long as you stay ahead of the curve. This is precisely why you want to have a San Diego SEO Expert on your side, but not all SEOs are created equally. Whether it is a WordPress SEO Expert or some other CMS (Content Management System), if you want to learn about the Local Blitz difference and why we truly consider ourselves topical experts, Contact Us today and we will be happy to chat about one of our favorite topics, SEO.